Mahabodhi Temple is a UNESCO World Heritage site and is the location of the Bodhi tree where Lord Buddha attained enlightenment. One of the four most important and holy places for Buddhists, Mahabodhi Temple is an ancient complex built by Emperor Asoka in 3rd century B.C. The temple complex is sprawled over 4.8 hectares and the sacred Bodhi tree (direct descendent of the original Bodhi tree) is located on the west of the main temple structure. The temple architecture is unique and along with the main temple, there are 6 sacred places and a lotus pond housed within the complex. 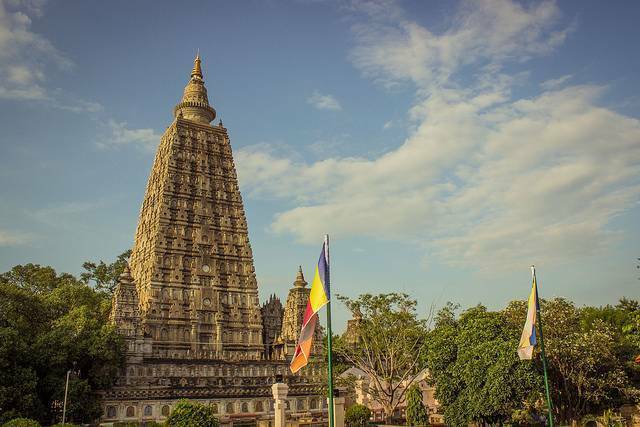 Located in the heart of Gaya, Mahabodhi Temple is the main attraction of the city.